Carriers and banks around the world can now use the BlackBerry Bold 9900 and the BlackBerry Curve 9360 smartphones to deliver MasterCard-approved NFC mobile payments services. The BlackBerry Bold 9900 and BlackBerry Curve 9360 smartphones have become the first SIM-based NFC phones to be certified by MasterCard Worldwide as PayPass-approved devices. The certification means that MasterCard PayPass-issuing banks anywhere in the world can offer customers the option of adding a PayPass card to the SIM in their phone, safe in the knowledge that the security in the phone has passed MasterCard requirements. Etisalat subscribers in the United Arab Emirates are due to be amongst the first to use their BlackBerry phones for mobile payments. Services are expected to go live in Dubai before the end of 2011. France Telecom Orange has also confirmed it will be offering the two BlackBerry phones to subscribers for use in NFC payments services. Orange has commercial NFC projects up and running in the UK and in France and is committed to introducing NFC services in the majority of countries in which it operates. MasterCard has already certified the Google Nexus S, which uses an embedded secure element rather than an NFC SIM, for mobile payments applications. “MasterCard is proud to be the first to certify these popular BlackBerry smartphones for mobile payments, and offer consumers another simple, easy, safe and convenient way to pay,” said Mung Ki Woo at MasterCard Worldwide. “In card payments, MasterCard has long been a leader in the testing and certification of products — for the benefit of customers, issuers, merchants and acquirers. To me, it is a good try by MasterCard but what if I be a blackberry user and not willing to use MasterCard’s financial services?! It seems that the old problem (interaction and collaboration across ALL companies) has remained without a proper solution and stakeholders (i.e. 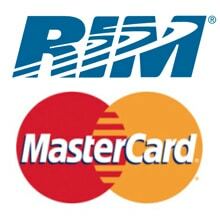 Blackberry, MasterCards, etc) are continuing to sign conracts with their preffered partners. I think it is more practical to solve this problem first instead of trying to push the technology into the market.